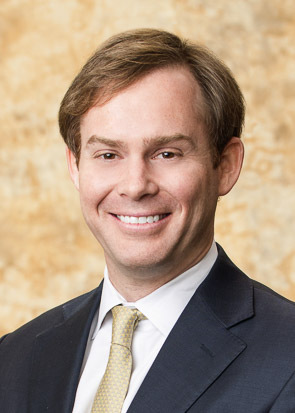 JACKSONVILLE, Fla. April 10, 2019 – Burr & Forman announces the addition of Counsel John Baker to the firm. John maintains a general litigation practice, with a focus on commercial litigation, mass torts, product liability, toxic torts, and cases involving catastrophic injuries. Throughout his career and the wide variety of cases he has handled, he has been fortunate to have been frequently called on to defend companies in complex “bet the company” litigation. In addition to the areas listed above, he also has significant experience representing healthcare providers against medical malpractice claims, all of which have been wrongful death claims. He also has considerable experience representing clients in high exposure cases after prior counsel, the client, or both have been sanctioned prior to his involvement. John provides clients with valuable service by making sure he understands the client’s business, goals, and desires, so he can apply that understanding to his strategy for every matter he handles from the outset. John is admitted to practice before the U.S. Court of Appeals, Third Circuit, and is licensed in Alabama and Florida. John received his Bachelor of Arts from Washington and Lee University and his juris doctor from the Cumberland School of Law of Samford University.